eatingclub vancouver: Soy Pudding Parfait with Orange-Ginger Syrup and "Streusel Brittle"
Conceptualizing our Lime-Marinated Pork Skewers with Ginger-Guava Jam and Five-Grain Rice dish, we thought it would be fitting to complete the meal and come up with a similarly Asian-esque dessert that also used citrus, ginger and whole grains. We decided that our entry to The Royal Food Joust (hosted by the Leftover Queen) should be a complete meal! We visited a soy pudding place earlier in the day and while downing cold soy pudding (with evaporated milk for me, plain for JS), this dessert was born. We bought a small container of unsweetened soy pudding and went on our merry way. I juiced 2 navel oranges and poured the juice into a pan. I added slices of ginger and let the mixture reduce by 50%. I added brown sugar and let it reduce another 50%. I'm not kidding about the love of quotation marks, am I? This is the topping I use for crisps. It ended up as a solid mass and I broke it up like brittle. Hence, the name. 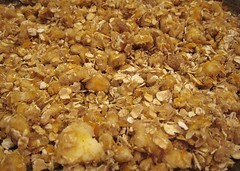 I added orange zest to the oats, brown sugar and butter and baked it until the butter was melted. After it was out of the oven, it firmed up and I proceeded to break them into chunks. 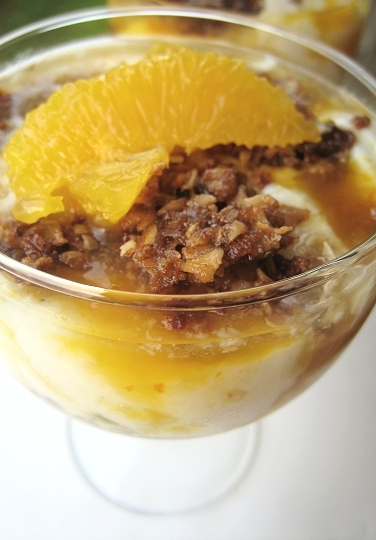 To assemble, simply layer soy pudding, orange-ginger syrup and "streusel brittle" in a glass or bowl and enjoy! 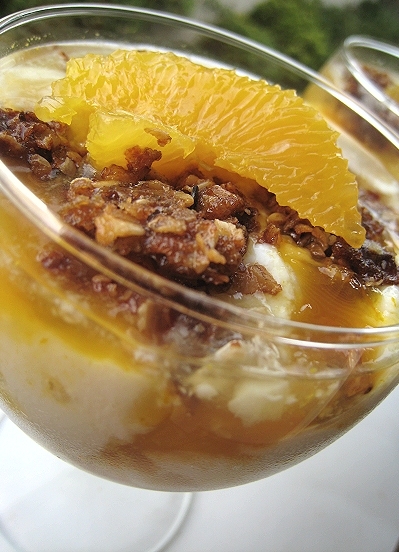 Be sure to serve or eat immediately, as the brittle will soften or get soggy if left sitting in the pudding. 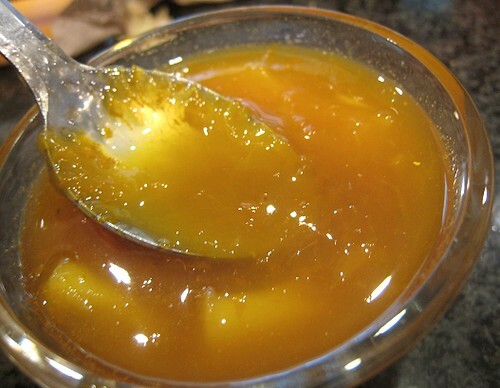 To make the syrup, place orange juice and ginger in a small sauce pan. 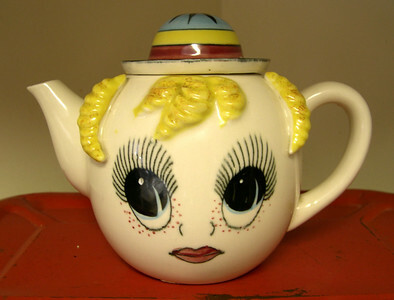 (You can substitute ginger powder if you wish. Add it to taste.) Heat on low/medium-low until reduced by half. 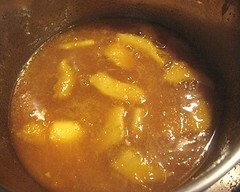 Add the brown sugar and reduce again by half. Take off the heat. For the "brittle", mix together the ingredients and place on a small sheet pan. 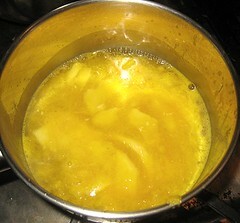 Bake until the butter is melted and the mixture is golden-brown. Take out the pan and let the brittle harden/firm up. Break into chunks. 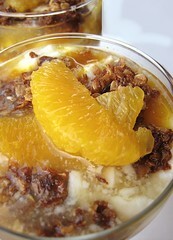 To assemble, layer soy pudding and orange-ginger syrup and "streusel brittle" in a glass or bowl. Serve immediately. Alternatively, serve the soy pudding and the components separately, with each person topping up their serving themselves. 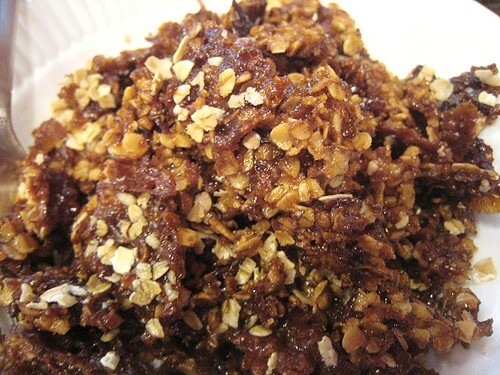 loving the "brittle" hehehe...kidding! everything about this is wonderful! slurrrrpp! love the look of your brittle. funny I don't believe I've ever seen soy pudding, though maybe I just haven't looked. This combination sounds wonderful - smooth and sweet and crunchy at the same time. Yes, Yes, Yes - 1000 times yes! This all looks good, but that orange-ginger syrup looks fantastic! Your orange ginger syrup is making my mouth water. Wow! I'm sold! 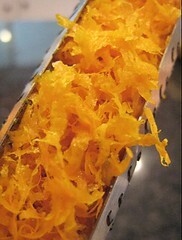 Love the orange-ginger combo, there's nothing quite like it. This looks healthy and delicous at the same time. I happen to like soy and will most certainly give it a try. Thanks! I really like this. It looks good. I like oranges. 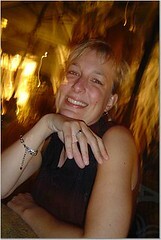 And ginger. Oh, and soy, too. Speaking of which...I need a recipe for my cooking class, can I use this for inspiration? beautiful presentation as always ... and this is just the dessert I need for the warm weather now! Oooh, every part of this sounds fantastic! It's also known as tofu pudding. I don't know if it's sold in supermarkets. Am not sure if it's the same as "silken" tofu or not. But then, that's still "tofu". Hm. Not much help! OMG that looks wonderful!! 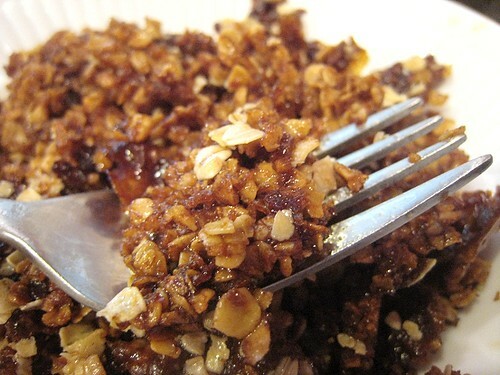 From the syrup to the streusel brittle, I would love every mouthful.